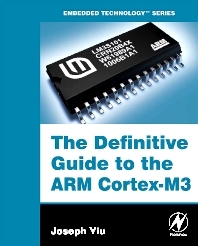 This user's guide does far more than simply outline the ARM Cortex-M3 CPU features; it explains step-by-step how to program and implement the processor in real-world designs. It teaches readers how to utilize the complete and thumb instruction sets in order to obtain the best functionality, efficiency, and reuseability. The author, an ARM engineer who helped develop the core, provides many examples and diagrams that aid understanding. Quick reference appendices make locating specific details a snap! Whole chapters are dedicated to: Debugging using the new CoreSight technology Migrating effectively from the ARM7 The Memory Protection Unit Interfaces, Exceptions,Interrupts ...and much more! 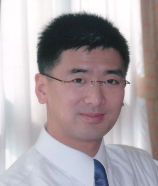 Joseph Yiu joined ARM in 2001 and has been involved in a wide range of projects including development of ARM Cortex-M processors and various on-chip system level and debug components. In addition to in-depth knowledge of the processors and microcontroller system design, Joseph also has extensive knowledge in related areas including software development for the ARM Cortex-M microcontrollers, FPGA development and System-on-Chip design technologies.